The IBM quantum computing is available to researchers and the Institutions. Let us see how interesting the technology is. 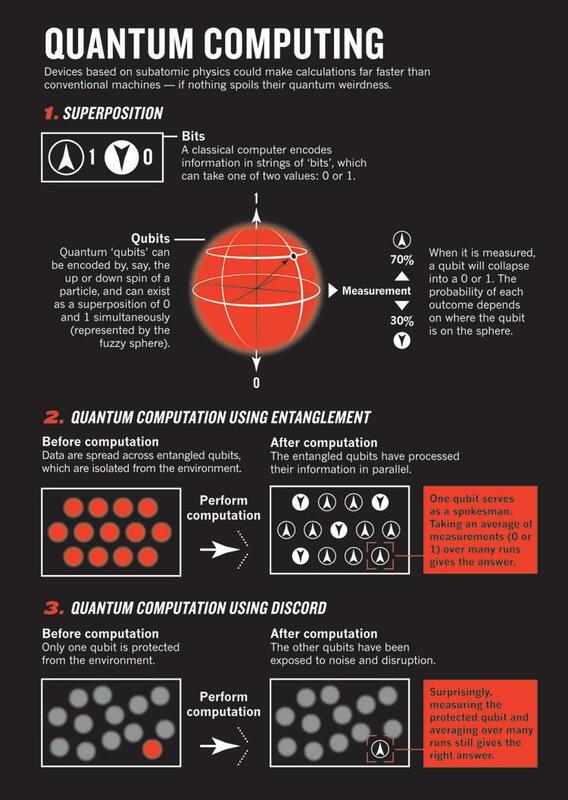 The first application of quantum theory credited to computers dates back to the ’80s of the last century when the physicist Paul Benioff suggested the creation of a quantum Turing machine (QTM). It was a first small step in a research area that 30 years later is still far from the finish line but shows great potential, just thinking of the computational capacity made ​​available by the overcoming of the standard created in 1930 by Alan Turing machine with the same name – the classic sequence of symbols 0, 1, and empty spaces was read by that the device from long ribbons to understand what operations to do. In the future computers symbols can be both 0, 1, or any intermediate point between the two (this is known as superposition, a concept borrowed from quantum mechanics) – in a nutshell this means that, compared to the current computer-based manipulation of the bits 0 and 1 and the implementation of a single calculation at a time, can be performed simultaneously millions of operations – a computer from 30 qubits (quantum bits) will be able to reach about 10 teraflops. The quantum computer made ​​available by IBM is naturally a prototype chip with 5 qubit located in the company’s research lab in New York. The service, dubbed as IBM Quantum Experience, will offer the institutions (universities, laboratories etc) and the researchers interested in the ability to perform certain actions via cloud experiments and taking advantage of the promising technology. The road to reach the construction of “commercial” models is of course still long (the IBM machine should for example need huge server cooling systems capable of generating temperatures below zero as well as the use of languages programming based on possible future model. IBM said that working with the programming language in Quantum Experience is like composing a melody. In view of the above and pending substantial progress of research (Google and NASA are conducting several studies in this area), the IBM effort is still considerable as a commendable initiative that can bring the scientific community to the new technology. This Article Has Been Shared 7070 Times! Hybrid Cloud Computing has brought the computational power in the pockets of all. Anyone with a credit card in pocket can be access the largest facilities now. Local Clouds, in this PRISM era is promoted or sometimes just said without any influence to confer more protection to privacy and security. But this is not the truth. Cite this article as: Abhishek Ghosh, "IBM Brings Quantum Computing in the Cloud," in The Customize Windows, May 5, 2016, April 23, 2019, https://thecustomizewindows.com/2016/05/ibm-brings-quantum-computing-cloud/.